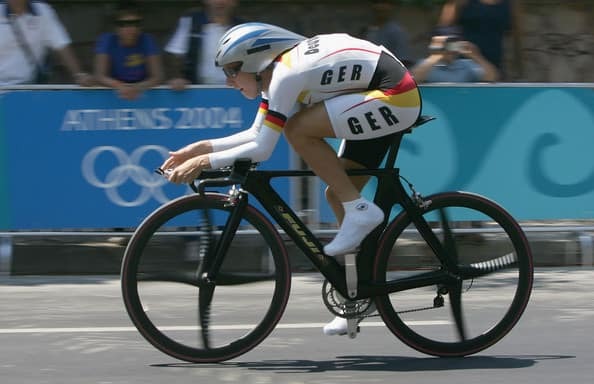 Cycling has been contested at every Summer Olympic Games since the birth of the modern Olympic movement at the 1896 Summer Olympics, at which a road race and five track events were held. 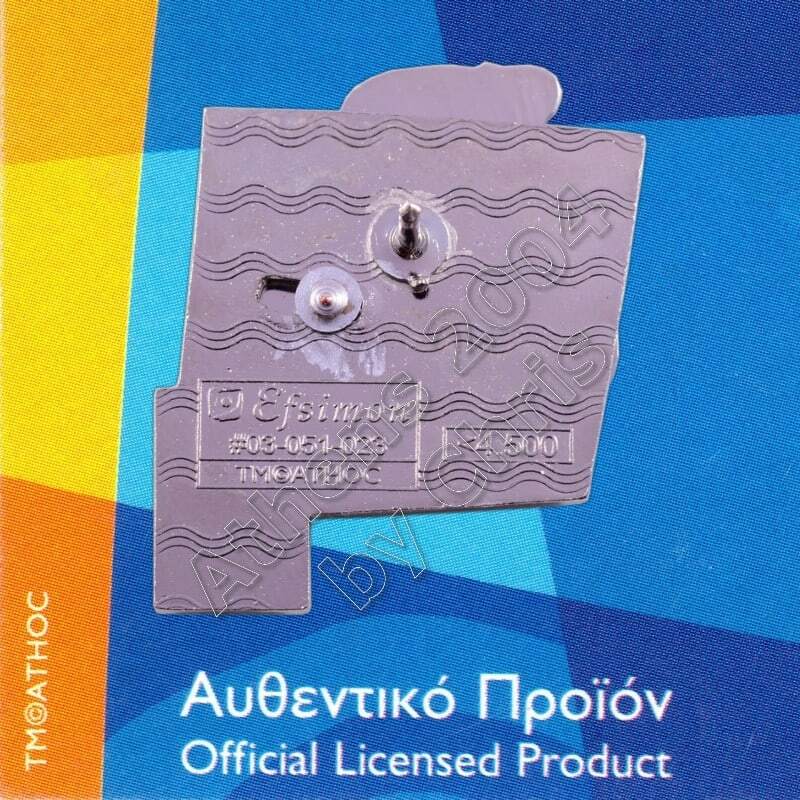 Mountain bike racing entered the Olympic programme in 1996, followed by BMX racing in 2008. All events are speed races – there is no BMX freestyle or dirt jumping for example. 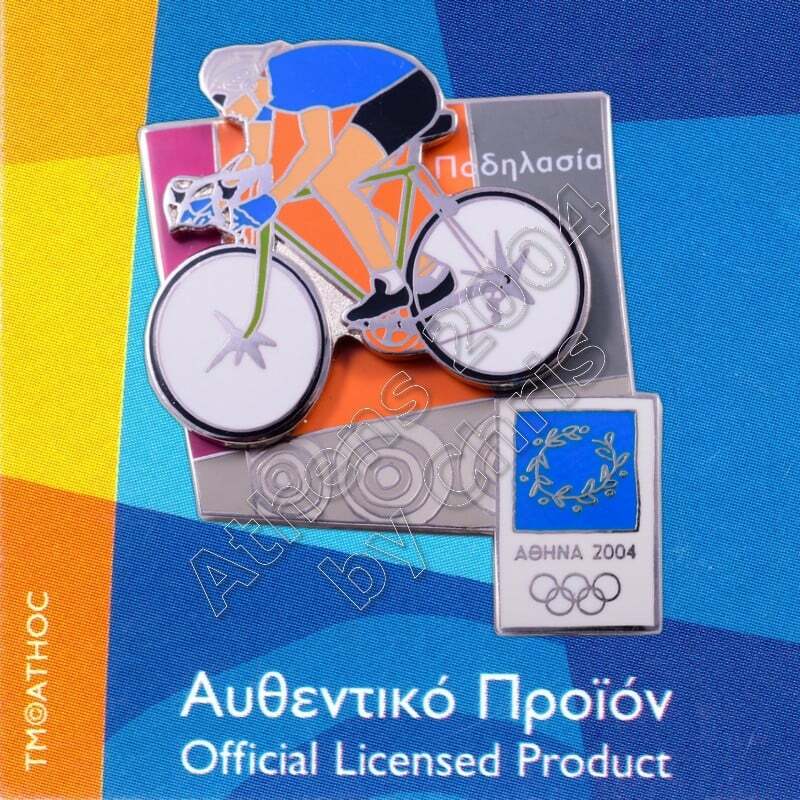 Women’s cycling did not enter the Olympic programme until the road race at the 1984 Summer Olympics. Women have competed in track events as well since 1988. 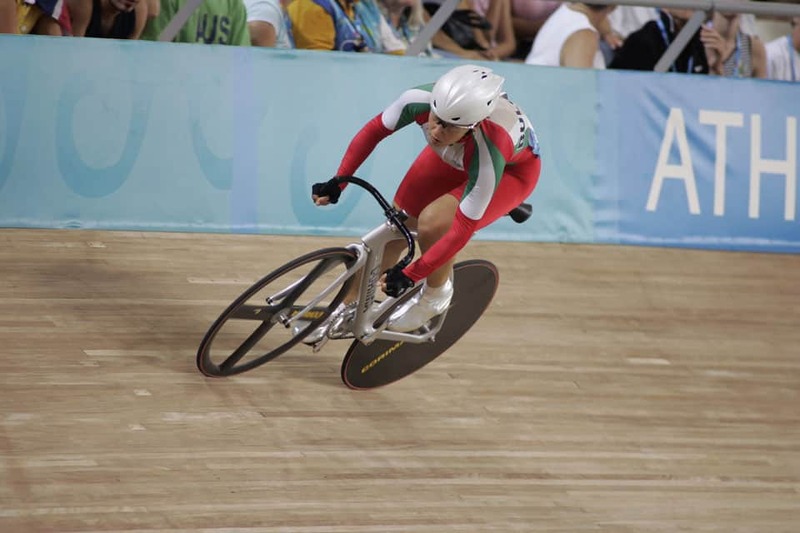 The 2012 Summer Olympics were the first at which men and women competed in the same number of events in all cycling disciplines including track cycling, which previously had more men’s and fewer women’s events than the 2012 programme. However, women have shorter distances for some events. 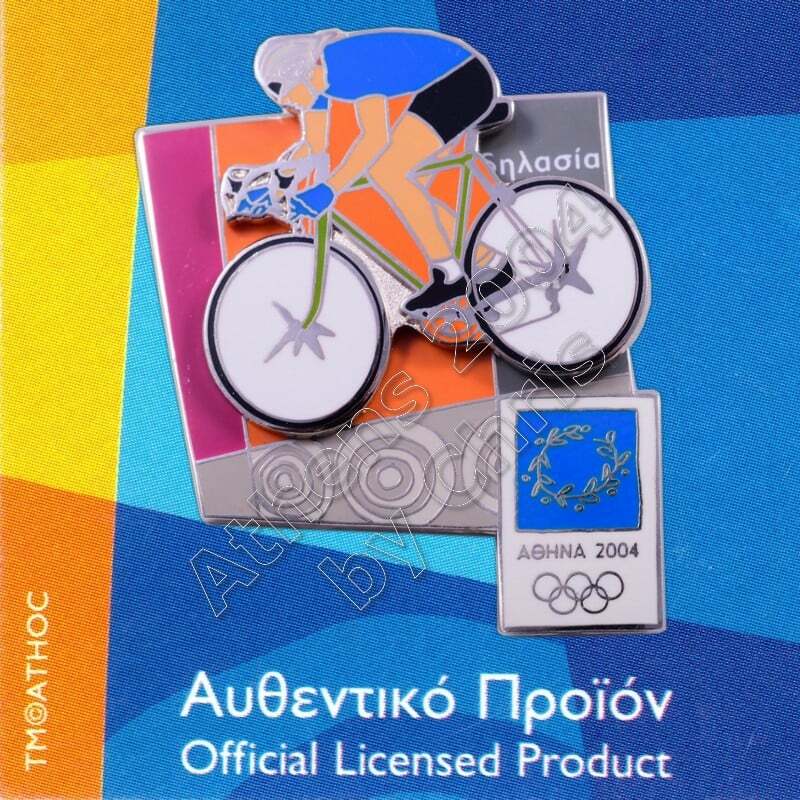 The pin depicting the Cycling sport in action – the athlete in moving on the surface of the pin.